The Vermont Interdisciplinary Team (I-Team) was developed with a federal demonstration grant from 1974 to 1977. Since then, our project has been partially funded by the State of Vermont and continues to grow to further support students with special education needs, their families, and their Individualized Education Program (IEP) team. 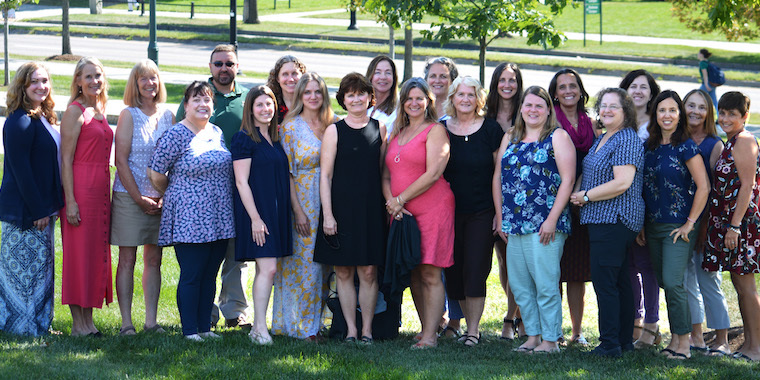 The Vermont I-Team envisions a future where every child and youth in Vermont, who requires intensive special education is welcome in their class and community, is taught well, and has access to needed resources for a quality education. Vermont I-Team's mission is to assist local teams of families, educators, and other service providers in the delivery of quality educational services to students with intensive special education needs through technical assistance, professional development, training, support for systems change, and family support. Referrals are now closed for the 2018-2019 school year. If you have questions about referrals for the upcoming year, please email Valerie LeClair or call at (802) 656-7122.